Dr Andrew Francis grew up in Huddersfield, West Yorkshire. He read geology at the University of Durham, followed by PhD research in palaeontology and applied statistics at the University of Birmingham. Andrew then worked as a capital investment accountant for a number of years, qualifying as a chartered management accountant (CIMA). Andrew joined the National Farmers’ Union (NFU) in 2012 as senior adviser with NFU Sugar, which represents the country’s 3,000 beet growers who produce more than half of the sugar consumed in the UK. He moved to his current position as the NFU’s chief economic adviser in July 2016. His role encompasses all economic aspects affecting farming, the environment and the wider rural economy. Farming is at a crossroads. For the first time in over 40 years agriculture will move away from the EU Common Agricultural Policy (CAP) after Brexit. 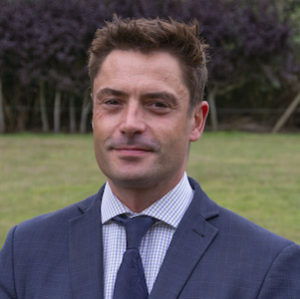 Andrew’s role is focused on the development of the NFU’s Domestic Agricultural Policy and future support methods for the sector, particularly in relation to farm productivity and volatility mitigation. His role is also to communicate with NFU members on economic matters and to represent them through lobbying key stakeholders.